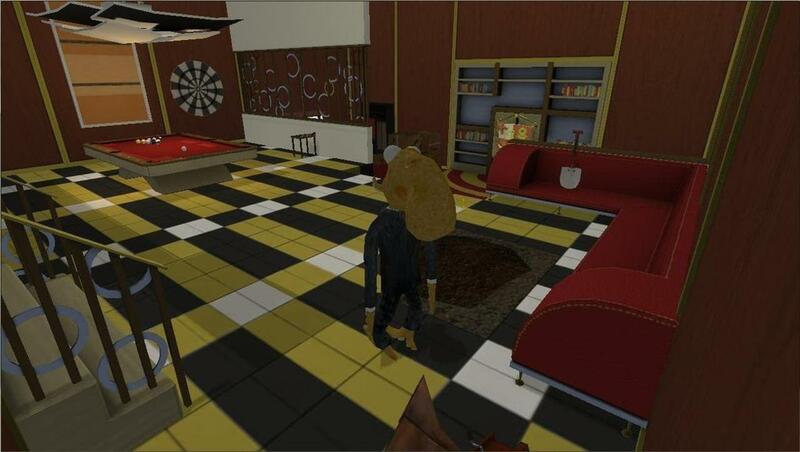 Kickstarter Campaign Successful, new version of Octodad 1 with bonus levels, and the future! Well, our Kickstarter campaign is over and thanks to our lovely fans it’s been an immense success! We’ve hit a massive 121% of our original goal! In order to properly celebrate this occasion we’ve decided to release an updated version of Octodad 1 with TWO NEW LEVELS! Right now only the Windows v1.5 is available due to some issues with Mac’s Lion OS, but Mac owners can expect their own v1.5 in September. Now these levels aren’t for the feint of heart and are a bit of a challenge, but they do bring a bit of closure to the first game’s story. All you have to do in order to play these brand new levels is download the new version of the game from our website here. After you get past the treacherous ladder challenge you’ll sneak yourself into the spacious expanses of the mysterious basement to complete Scarlet’s anniversary gift. These levels are a bit gritty, but we thought that it would be better to end the game as we originally intended to for the Independent Games Festival rather than keep them in our archives any longer. These levels are a labor of love and even though we can’t let you see too much from Octodad 2 yet they should whet your appetite for the time being. Another cool thing about this new version of the game is that there are some pretty substantial performance increases. These should allow more people who may not have been able to enjoy Octodad before to take a romp on through the first game. We’ll soon be sending out some surveys in order to get all the information needed to send you all your super cool prizes. Remember to keep an eye out for our upcoming web comic series, check our blog often, and we’ll be feeding you all with further tidbits about Octodad 2 soon! ©Young Horses, Inc. All Rights Reserved.